Ambareesh is the backbone of former MP and actress Ramya's political life. However, Ramya did not come to see her last when Amberish died. For this reason the people of Mandya have turned against Ramya. He started the movement against the social networking site. Soon after, Ramya vacated the rented house in Mandya. It has raised many doubts. Ramya had been renting in Vidyanagar for the last Lok Sabha election in Mandya. He did not appear in Mandya after the election. However, the luggage at home in two lorries loomed late last night. He has made a home vacancy and is now in a serious debate. 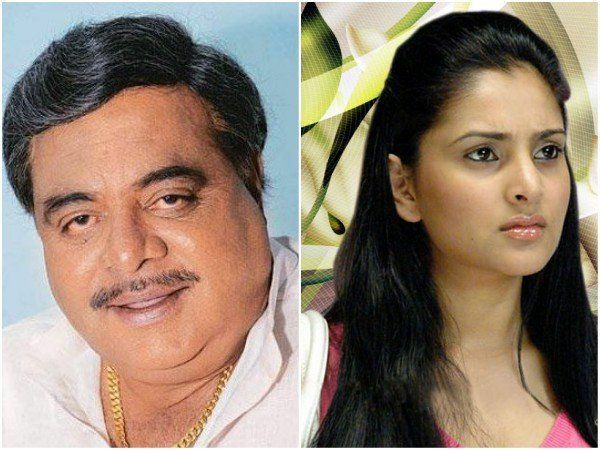 Ambareesh co-ordinated Ramya to contest the Lok Sabha polls. Ramya was in support of her support. Ramya was defeated for the second time in the polls. Ramya had accused Ambarish of being unsuccessful in supporting me. This led to the gap between Ambi-Ramya. Ambareesh tweeted when Rebel star died. Everyone thought that Ramya had forgiven the hatred. However, Ramya did not attend Amby's final appearance. So everyone was outraged against Ramya in the district. In this case, the romantic home provided police protection. It was clear that I had not come because of the trouble with the leg. However, people were outraged by Ramya Tithi's card that she was dead. There is no doubt that Ramya feared this issue.